The ability of military-grade personal protective equipment (PPE) to withstand a ballistic impact is critical. Proper testing is a requirement of any product covered by MIL-H, MIL-STD, NIJ and other regulatory standards. 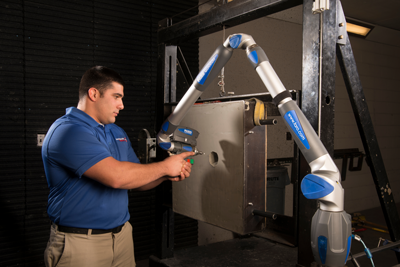 National Technical Systems (NTS) — one of the largest networks of testing labs in the country — performs industry-leading destructive material testing out of its Wichita, Kansas and Chesapeake, Maryland locations. 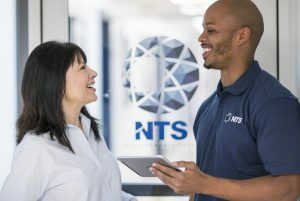 Staffed by expert engineers who can develop a comprehensive testing routine for your product, NTS is a key partner to the defense contractors whose products are keeping American troops and law enforcement officials safe around the world. NTS has the best equipped ballistic materials testing labs in the country. Our independently verified facilities can provide accurate analyses of the effectiveness of body armor, helmets and firearm locking devices. High-speed video – NTS Wichita features two high-speed video cameras – a Phantom 7.2 that can record at 250,000 frames per second and a Phantom V312 that records at speeds up to 500,000 fps. FARO laser scanners – Capable of making precise measurements at intervals as small as 0.0006”, FARO Arm and Geomagic Qualify software is a vital ally to enhanced ballistic material testing. Oehler chronographs – Each range utilizes redundant Oehler Model 55 chronographs and Oehler Model 34 ballistic computers to ensure accurate velocity measurements. Doppler radar – The USTL facility is currently the only independent test facility in the United States utilizing Doppler radar technology for velocity measurement. An investment in sophisticated measurement technology allows us to provide key insights that push the leading edge of ballistic material testing, giving you the insights you need to develop more powerful and effective products. NTS is fully capable of helping with expert testing on soft body armor, armor plates, combat helmets, and vehicle armor. In everything we NTS is dedicated to providing excellence in the testing of survivability systems that are instrumental in protecting our service men and women. NTS strives to assist developers and manufacturers of these survivability systems in bringing the best products possible into the defense market. In addition to armor testing, we are fully equipped to provide climatic and dynamics testing, environmental simulation (including sand, dust and salt fog testing), functional trials and more. If multiple tests are required, we will determine the fastest and most cost-effective sequence possible. 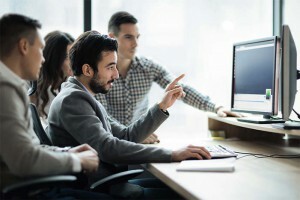 Count on our team for everything from one-off armor testing to complete project management solutions. Our laboratories are also A2LA accredited for an extensive list of standards. Click here for our certificate.